Phoebe is a grey mare who is about 10 years old this year! 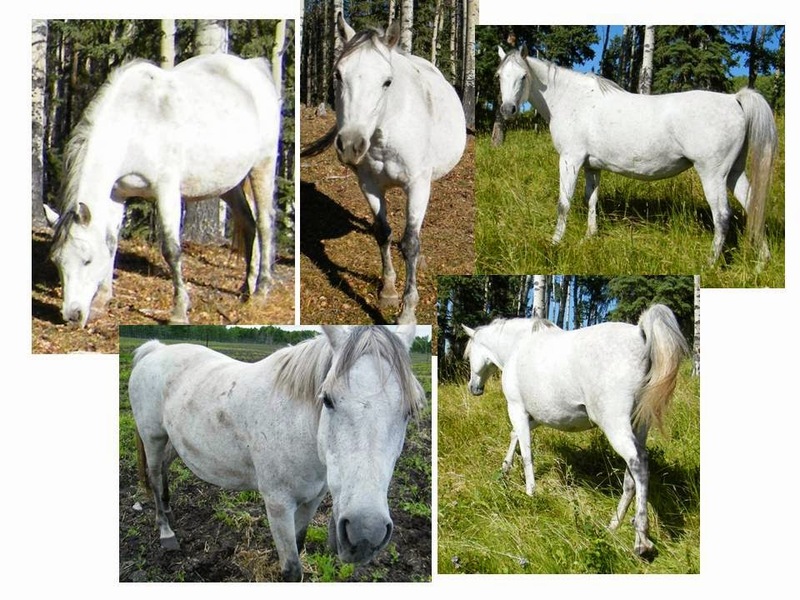 She came to Bear Valley as part of a 2010 SPCA seizure of 26 horses. When this pretty little Arab came in, she was pregnant but sadly, in February 2011 she lost her foal. She can be quite nervous, so while she is halter-broke, she is not foot-broke (which means). A few years ago, in 2012, she hurt her eye, but the vision was able to be saved thanks to treatment.